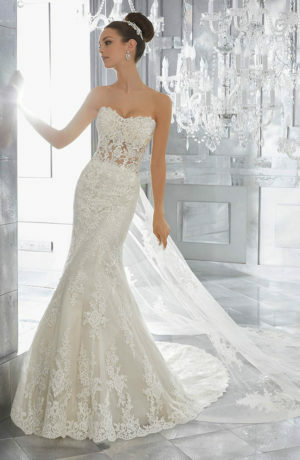 Wedding dress from the Mori Lee Collection. Simply Chic, This Draped Organza Ballgown Features a Box-Pleated Skirt and Delicately Beaded Spaghetti Straps. Beaded Net Belt Included. Belt Also Sold Separately as Style 11294. Available in Three Lengths: 55”, 58”, 61”. Shown in Ivory.